Are you building your small business? Having good financial controls in place can make the difference between success or failure. Attend June's Small Business Workshop on June 30th to get the information you need to keep your business on top! Understand the essentials of financial management. Apply financial management practices, rules, and tools most relevant for small businesses. Prepare for common business financing needs: start-up finance, working capital, and fixed asset loans. Take a free online financial assessment to see where you stand financially. 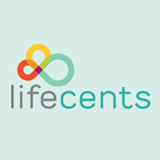 LifeCents is offering a drawing of $25 each day for people who will do a financial assessment, a weekly drawing of $100 and a grand prize drawing to take place in July. All you have to do to get started is visit LifeCents! Working hard, paying bills, and putting money aside for your needs and wants in the “now” are so often automatic in our day-to-day lives – so why aren’t we thinking about or planning for the future? According to the 2015 Retirement Confidence Survey from the Employee Benefit Research Institute, nearly one-third of workers have almost no retirement savings or investments (< $1,000), and a staggering 57% are underprepared with less than $25,000 for retirement. Social Security benefits play an important part of planning for retirement. Don’t forget about your my Social Security account! This free account can help you determine what your benefits will be and when will be best for you to start receiving them. Starting retirement savings early is the best way to take advantage of compound interest and establish good savings habits. Take advantage of any workplace opportunities, like a 401(k) or 403(b), and never turn down “free money” that comes in the form of employer contributions or matches. Individual Retirement Accounts or IRAs are also a great way to save, with some tax benefits in the process. If you get paid by direct deposit from your employer, you may also be eligible to participate in the new myRA program. myRA is a simple, safe, and affordable retirement account created by the United States Department of the Treasury for the millions of Americans who face barriers to saving for retirement. Need help finding ways to save? Turning off your phone or cable could save you $5 a month. Find a penny, pick it up; by saving $.50 in change a day, you will save $15 a month. For more ideas like these, visit America Saves online. Starting early isn’t possible for everyone, but that doesn’t mean you can’t play catch-up. Calculate what you will need to save in order to live comfortably in retirement. Once you have turned 50, you can make “catch-up contributions” – an extra amount beyond the normal limits that you can contribute to tax-deferred retirement plans. Those who make a commitment to themselves and their family to save usually save more than those who don’t. Make your commitment to retirement savings today and receive regular advice and support via email and/or texts while you save money. America Saves will provide you with the motivation and advice you need to reach your savings goal. Tammy Greynolds works for America Saves, managed by the nonprofit Consumer Federation of America (CFA), which seeks to motivate, encourage, and support low- to moderate-income households to save money, reduce debt, and build wealth. Learn more at AmericaSaves.org. America Saves is proud to be part of the “Campaign for a Secure Retirement: Helping Millions of Americans Plan and Save for Retirement” joint, national educational retirement campaign to encourage retirement planning and saving and to promote the online Social Security Statement, available through mySocial Security, as an important retirement planning tool. The Consumer Financial Protection Bureau recently released a report about the millions of Americans that are "credit invisible" having no reportable credit information at all or "credit unscorable" meaning they have few active lines of credit preventing our commercial credit scoring models from generating a valid credit score. If you are one of the 45 million Americans (19% of adult population) with no credit or limited credit, you may find that traditional avenues to obtaining loans are closed or difficult to navigate. Many of these Americans have been responsibly paying their financial obligations, but have no record of their payments recorded on their credit report. Bank On partners offer citizens a path toward better credit. By working together with our Bank On participants, our financial institutions can help you overcome your lack of credit history and help you build a positive credit profile that assures you have access not only to lower interest loans, but also to housing, jobs and better insurance rates that are available to citizens with solid credit.